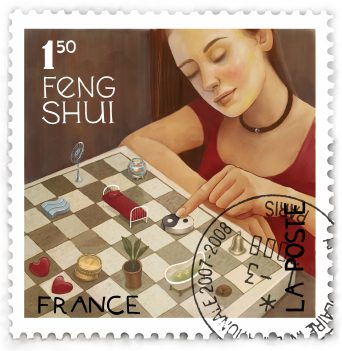 Welcome to my September 2011 Feng Shui Newsletter! When the economy is retracting, and the cost of every day living is going up, it’s easy to get caught up in all the negative media coverage and gloomy conversations with friends and associates. It’s no wonder we all feel like diving under a doona and staying there forever! However, now is the time to focus on ways to improve your current situation. We are simply in a retracting and somewhat turbulent cycle, also experienced in the 1950s ... which we will come out of! We are surrounded by cycles in our life every day ... the rising and setting of the Sun and how it affects what we do and when. Plants are affected by the Moon's cycles, indicating whether its a good time to plant, fertilise or prune. When we are in tune with and align consciously with these cycles of nature, we find more harmony and balance in our lives. So take your focus, worries and internal chit chat away from doom and gloom, and concentrate on what you can do now to make the most of the current cycle. Here are my zero cost tips for improving your life and luck with feng shui, space clearing and positive energy. I also recommend having an individual feng shui consultation during these difficult times as the positive benefits are quite amazing (see client feedback). I must admit I was initially quite skeptical about the benefits of facing one of your favourable directions based on your year of birth. However, I have done more research on the subject and find favourable Ming Gua directions bring benefits, especially in the absence of a professional feng shui consultation specific to your home or business. You will need a basic compass to work out your directions. 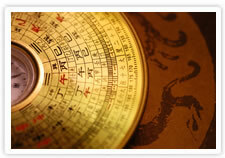 To calculate your favourable directions based on your year of birth, visit my Ming Gua Table. Even though specific benefits are mentioned for each favourable direction, all of your favourable directions can help improve your financial situation, particularly if you, or your front door is currently facing one of your four unfavourable directions. 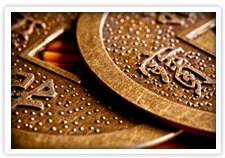 Face your Sheng Qi or Best Direction for prosperity, respect and good health. Face this direction when sitting at your work desk, giving or being interviewed, sitting an exam or negotiating a deal. Face your Tian Yi or 2nd Best Direction for helpful mentors and beneficial relationships. If you have been ill, the heavenly doctor will help cure you when you face this direction. Face your 3rd Best Direction for a long life and good family relationships. It may also improve one's chances of getting married. Face your 4th Best Directions for peace and stability. It is the best direction for your head to face when sleeping. As it also promotes clear thinking, you can also face this direction when sitting at your work or study desk. During tuff economic times, you can feel and see the stress it puts on everyone’s lives. Exercise and meditation can ease the stress and will keep us healthy and mentally upbeat due to the ‘happy hormones’ that are released by both. You don’t have to spend money either? 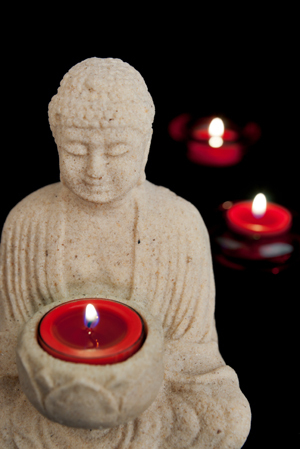 Go for regular walks, or runs, put on a nice DVD at home, burn a candle and meditate. Spend a little less time watching the idiot box or on the computer and do something positive for yourself which will create real benefits. If you haven’t spent much time with your partner lately due to work and family commitments, perhaps a regular walk together is a nice and healthy way to connect again. If you are like me and many others, you probably don’t want to go out and spend money at the moment, so you have more free time. Now is a great time to clear out the old stuff in your homes and/or business. Clutter symbolises stagnation, stuck energy and places where life and energy doesn't move. Clutter is dead energy and just looking at it can make you feel tired and overwhelmed. Once you move that dead energy in your home, you will be surprised how it breathes new life into your world! Don’t forget the closets too, they can be black holes of old energy, clogging up our lives with more ‘stuff’. Most importantly, good money can be made from your unwanted ‘clutter’. Have a garage sale, hire a weekend market stall, or sell your bibs and bobs on ebay. 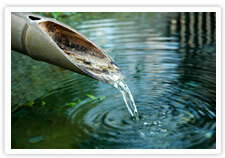 You will be surprised how much money you can make from cleansing and renewing your life. Clearing the clutter will help improve the feng shui of your home by allowing the flow of fresh qi to travel into all areas of your home, and consequently, your life. Qi is the breath of life, the universal energy that flows in and around all things. 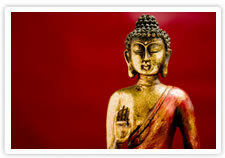 Qi brings opportunities into ones’ life, opportunities for better health, wealth and harmony. Last year, myself and two other feng shui consultants were interviewed by Good Health magazine for our advice on Feng Shui for Wealth. It has some great ideas and you can read the full article here.